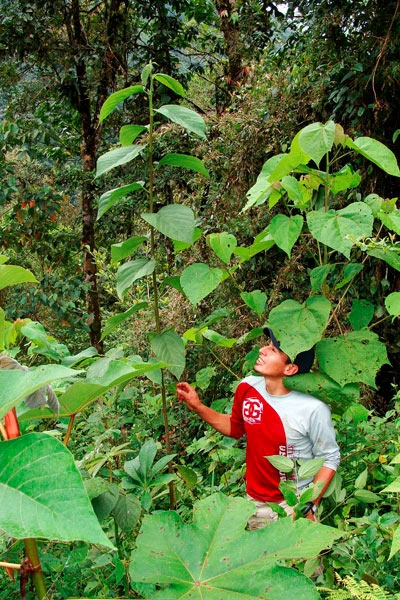 On May 15, our long-term coffee sponsor Miko is being recognised at the Business Charity Awards for successfully publicising their organic Puro Fairtrade Coffee in a way that also promotes WLT’s cause. Nominated in two categories, ‘Affinity Marketing’ and ‘Cause-Related Marketing’, Puro Fairtrade Coffee has helped WLT raise awareness about the need to protect ecosystems by creating nature reserves across the world. 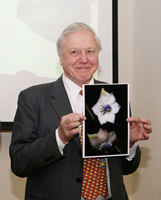 This is safeguarding some of the most threatened habitats and wildlife on the planet. 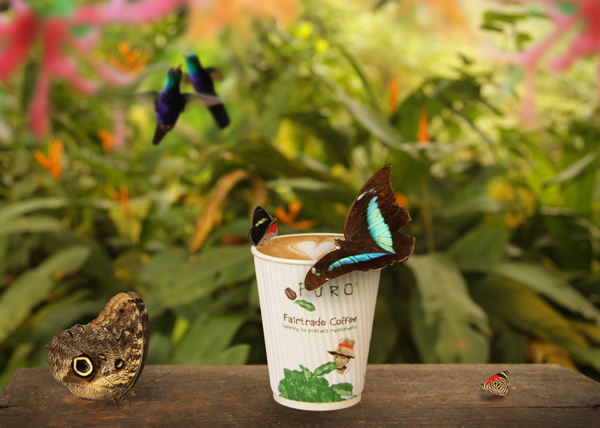 How does Puro Fairtrade Coffee support conservation? To date, over 5,600 acres (2,266 hectares) of rainforest within Ecuador, Brazil, Colombia, and Borneo have been bought and protected thanks to funds raised from the sales of Puro Fairtrade Coffee. 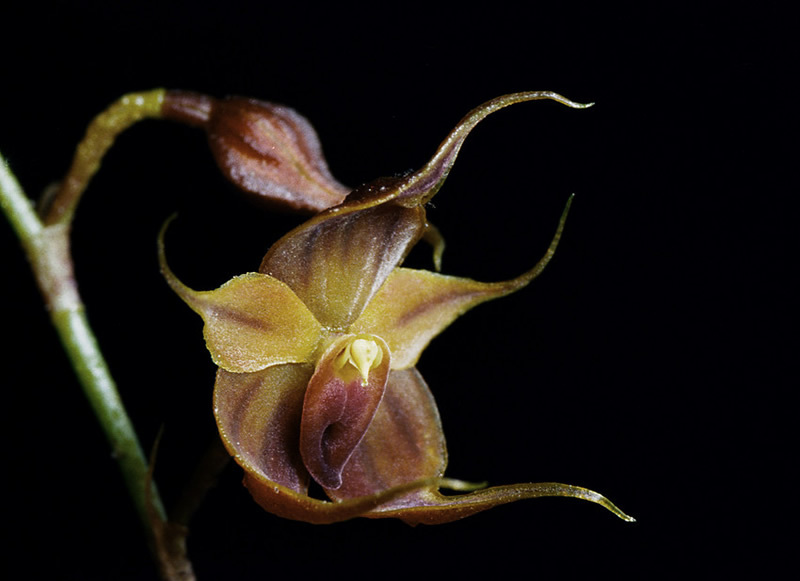 High in eastern Andes of Ecuador, botanist Lou Jost and his team at Fundación EcoMinga (a WLT partner) have discovered species of orchids that are new to science. 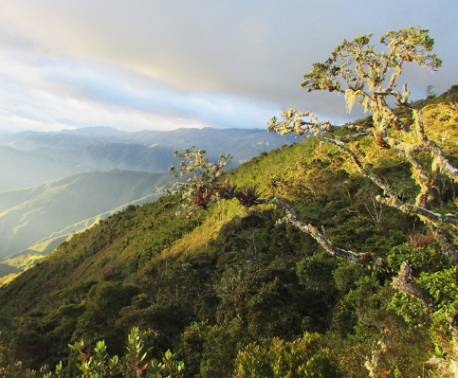 Puro Fairtrade Coffee helped create the Cerro Candelaria Reserve in the area; in recognition of this support Lou named one of the orchid species Teagueia puroana in their honour. There have been numerous species discovered in this region – from frogs and lizards, to new trees – but Lou described finding the Teagueia orchids as one of the most exciting discoveries of his life. When Lou climbed down from the mountain, he discovered that this was a new sub-genus that had never been described before. “Then I started finding many more Teagueia on different mountains”, explained Lou. “It turned out to be a very local radiation – completely unexpected, kind of like the Galapagos – with lots of different species on each mountain but very few species shared between mountains. Thanks to support for sponsors like Puro Fairtrade Coffee, WLT has been able to help our partner EcoMinga create the Cerro Candelaria Reserve to start protecting these species. But large tracts of the region are still unexplored, making it vital that we expand the area under protection to safeguard the Andes’ evolutionary secrets. 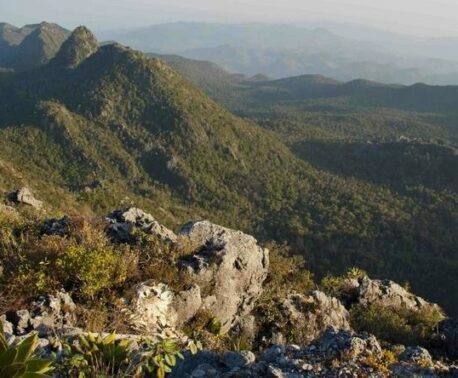 To further help safeguard this area, Puro Fairtrade Coffee is supporting a ranger for three years to help protect the Cerro Candelaria Reserve and the nearby Río Zuñac Reserve. The ranger, Luis Recalde, is also no stranger to exciting discoveries having photographed animal behaviour new to science. As an accomplished wildlife photographer, in 2010 Luis captured an image that was published in BBC Wildlife Magazine of a Caecilian attempting to eat a giant earthworm; behaviour that has never been documented before. Luis’ main job is to protect the reserve from illegal hunting, logging, and environmental damage. Rangers working in WLT-funded reserves across the world are being supported through the Keepers of the Wild programme, thanks to generous donations from supporters like Puro Fairtrade Coffee. Just 55mm in size, the Endangered Golden Poison Frog is a tiny vibrant creature that is found only in Colombia and carries a single milligram of toxin – enough poison to kill about 10 humans. Thanks to Puro’s support, WLT was able help our partners Fundación ProAves create one of the first nature reserves to protect this species. Despite the frog’s infamous reputation and its importance to indigenous cultures – the Choco Emberá Indians use the species’ toxin as poison in their hunting darts – it is considered by many to be on the edge of extinction. Until ProAves stepped in with their land purchase projects, this incredible species was completely unprotected. 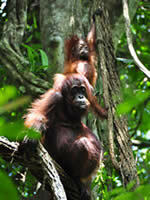 About 80 per cent of Malaysia’s wild Orang-utan population is found in the state of Sabah, in north-eastern Borneo. Yet the rainforest is suffering from an alarming rate of deforestation, turning once dense forest into fragmented and isolated patches of trees. 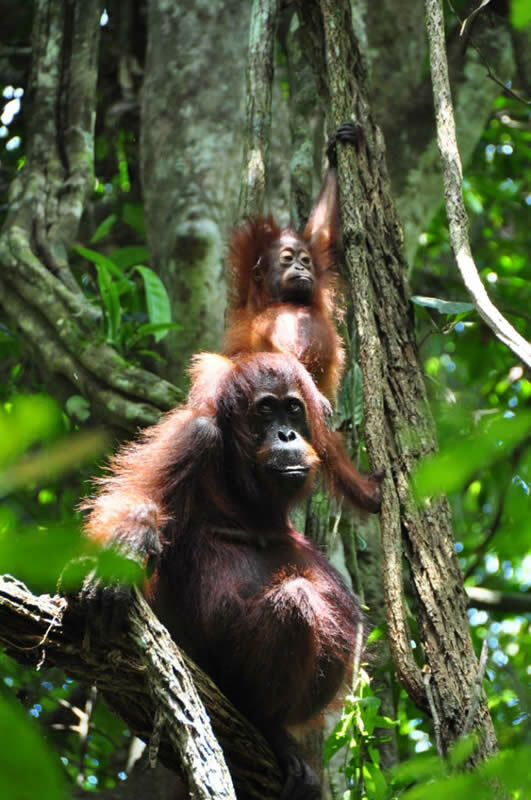 In these isolated areas, Orang-utan populations become stranded, unable to move safely through their forest home in search of food and mating partners – hampering their survival prospects. By protecting relatively small but strategically important Wildlife Corridors, which connect one protected area with another, we are helping our partners create a larger safe haven so wildlife can move safely throughout their rainforest habitat. Puro’s most recent donation to the Borneo Orang-utan Appeal was used towards the purchase of a 14 acre parcel of rainforest that is a prime habitat for Orang-utans, but is also part of a traditional elephant route; this migration path has been used by herds of elephants for generations, to travel past the village of Sukau from the estuary downriver to the upriver forests. Had this Wildlife Corridor not been protected, it would result in a significant increase in conflict between people and elephants surrounding the village. Stretching over 18,000 acres of tropical forest nestled on mountainous slopes, the Guapi Assu Reserve is just two hours away from the capital Rio de Janeiro but is home to a wealth of wildlife – from the charismatic sloth, elusive puma, and an array of colourful hummingbirds. Puro funded the extension of the reserve by 395 acres, providing a greater safe haven for these threatened species. At the end of April, representatives from Puro Fairtrade Coffee visited the reserve to see for themselves what their support was achieving. WLT encourages all our supporters to visit the nature reserves they help fund, as there is no better way to demonstrate the beauty and importance of the reserves. Also, small-scale and responsible tourism is one of the key ways our partner organisations will become self-sufficient. Our webcams are hugely popular with nature lovers worldwide and an interactive webchat feature allows them to share their passion. Our first webcam, sponsored by Puro Fairtrade Coffee, streams live wildlife footage direct from the Buenaventura Reserve in Ecuador. Regular visitors to this webcam are the coatis, charismatic bear-like mammals belonging to the raccoon family that have a reputation for intelligence and can often be seen lapping up the sugar water from the hummingbird feeder. Thanks to Puro, WLT can continue to provide our supporters with this intimate insight into rainforest life. WLT prides itself on having long-term committed corporate supporters, who are passionate about our work saving some of the most threatened habitats and wildlife in the world. As you can see, Miko’s support through their Puro Fairtrade Coffee brand has achieved a huge amount for world-wide conservation and we thank them for their dedicated support. This vital work would not have been possible without them.